The games create a unique environment where ambitious people can practice the art of entrepreneurship, make mistakes and learn from them. The Ministry of Social Development, Joy Business Academy (JBA), Xero and BNZ have launched The Tycoon Game series. 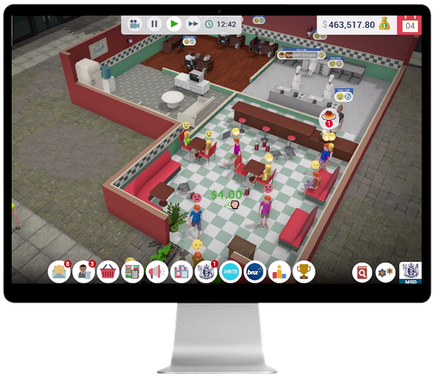 The games - Restaurant Tycoon and Tech Tycoon - provide an interactive experience allowing players to immerse themselves in creating and operating their own business in a virtual world. It challenges players to use what the World Economic Forum has identified as the 10 essential skills for future employment - serving as both an entertainment and educational tool. Business skills which have been added to the 2020 list (from 2015) include emotional intelligence and cognitive flexibility. Additionally, critical thinking and creativity have been bumped higher up, acknowledging the essential role they play in business. There are plans to develop other versions of the game for the construction and trades, tourism and the retail sector. “This initiative is another way that government and Industry are collaborating to grow job and business opportunities for New Zealanders,” says Minister for Social Development, Carmel Sepuloni. She says the game reinforces the evolution in skills required to start and manage one’s own business but also educates about the ministry’s employment related products in a fun and engaging way. “Every year SMEs are constrained through a combination of external pressures, lack of businessexperience and commercial acumen. Recruitment, training and retention of good employees is cited as one of the most challenging aspects of businesses for this group and where MSD showcases talent and the considerable assistance that can be offered when employing our clients,” says Sepuloni. Shelley Ruha, chief customer officer - BNZ Partners, says the Tycoon Game series creates a unique environment where ambitious people can practice the art of entrepreneurship, make mistakes and learn from them. It’s a good reminder that regardless of whether you’re at high school or uni, or running your own business - investing in education, upskilling and training should always be a focus. “It gives entrepreneurs and small business owners a valuable tool they can use to understand how to build their own partner ecosystems and learn the skills necessary to run a successful business. In the real world, that will help them make smarter decisions and reach their goals faster,” says Ruha. Joy Business Academy, the developers behind the game, believes this game serves as the perfect platform to support small business education, as the act of ‘doing’ delivers the best learning outcome. “The philosophy of the Tycoon Game series is to deliver the very best learning outcomes to the player of the game. By immersing the player in operating their own business in the virtual world, it is our hope that they will learn the necessary skills and understand how they can work with different partners or business advisors which can then be translated into operating their own SME business in the real world”, says James Coddington, CEO at JBA. As players go through the games they earn badges by achieving certain milestones determined by how they play the game. One example of this is the badges earned by using the Xero platform within the game. This can be anything from paying supplier invoices or staff wages, to reconciling bank feeds. 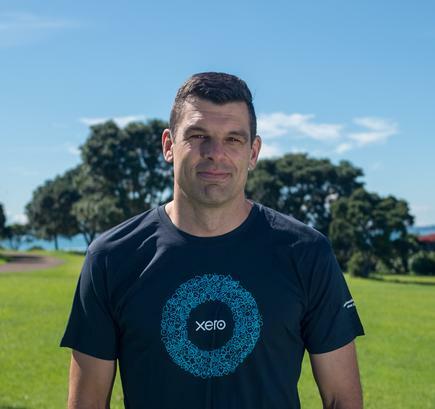 “We are passionate about the success of small businesses and want to do all we can to support the sector that serves as the engine room for the Kiwi economy,” says Craig Hudson, managing director at Xero New Zealand. An online tool to help small business owners quickly and easily choose their business structure has been launched by Small Business Minister Stuart Nash. “Most businesses in New Zealand are either sole traders, companies, or partnerships. It can sometimes be daunting or confusing to decide which structure works best for your business,” says Nash. The new tool, Choose Business Structure, takes an all-inclusive view of the various obligations and considerations businesses will face, such as tax, ACC, financial statements, and indemnity insurance. It was developed in collaboration with the Companies Office, New Zealand Business Number (NZBN), Inland Revenue, ACC and the private sector. “It also offers practical tips, comparison tables and suggests when a business owner should talk with experts. It gathers information in one place so that small business owners can quickly and easily make decisions with confidence. If you’re already in business, it’s also a good way to check that you’re operating under the right structure. “There are of course other structures such as trusts, unlimited liability companies, and co-operatives,” says Nash.